Looking for something to do over the long weekend or half-term holiday? I've been going through my old photos, and remembered these fun projects - all from the archives - which would all be perfect for quiet days at home, and all require minimal equipment. 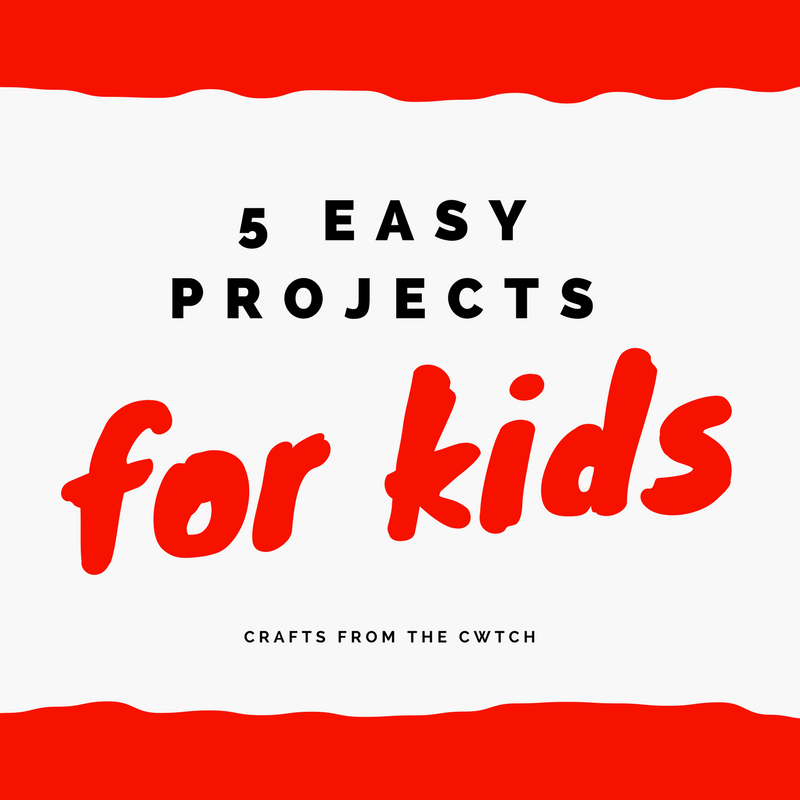 They are all great for co-ordination skills, and if your children are like mine, they will love being able to join in with some 'yarny' crafting. 1. 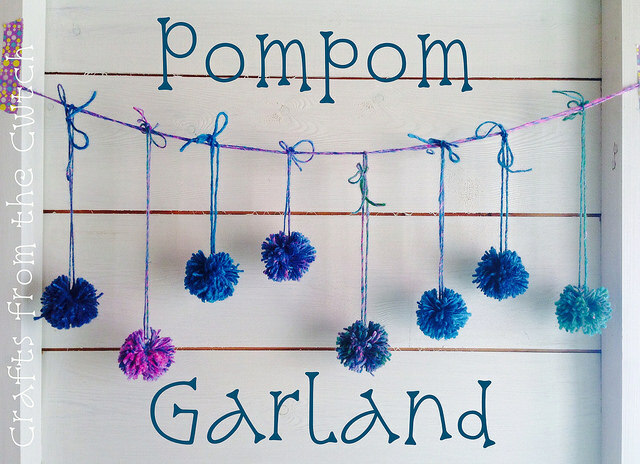 This Pompom Garland is so simple but looks great, and it can be made with a pompom maker or some old-school cardboard circles. Find the original tutorial on how to use a pompom maker, including a pompom bookmark tutorial, here. Once you've made some pompoms, simply tie them onto a string secured with washi tape. 2. 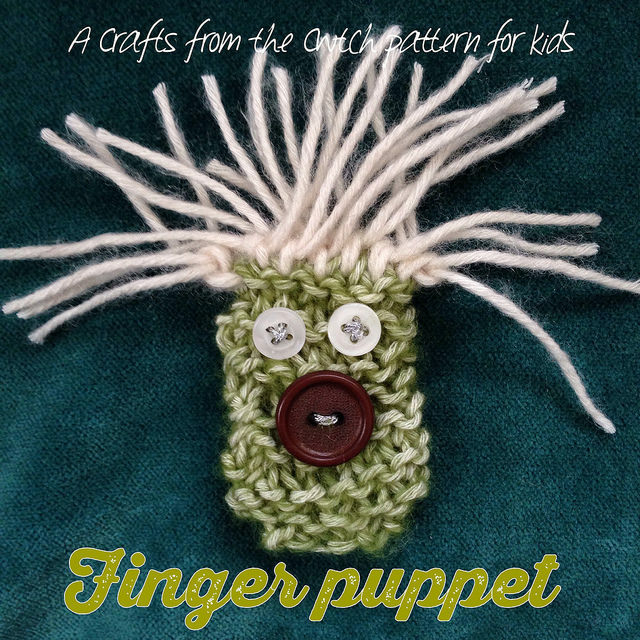 When I was running the primary school knitting club, this Finger Puppet project was very popular with the children. If your kids aren't ready to knit yet, you could always do the knitting and let them sew and decorate them. The post also includes some maths prompts I used with the older children. 3. 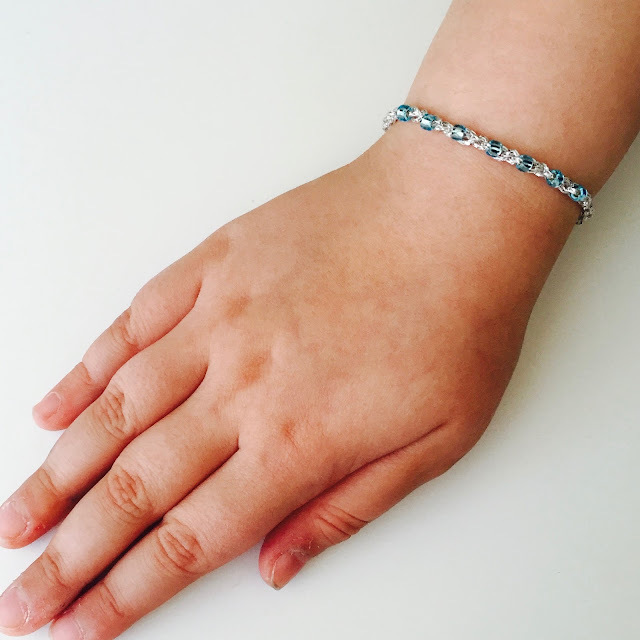 If your kids can crochet a chain, they can make this lovely beaded bracelet - which I think would also make a nice end of year gift for friends and teachers. A step-by-step tutorial is provided here. 4. 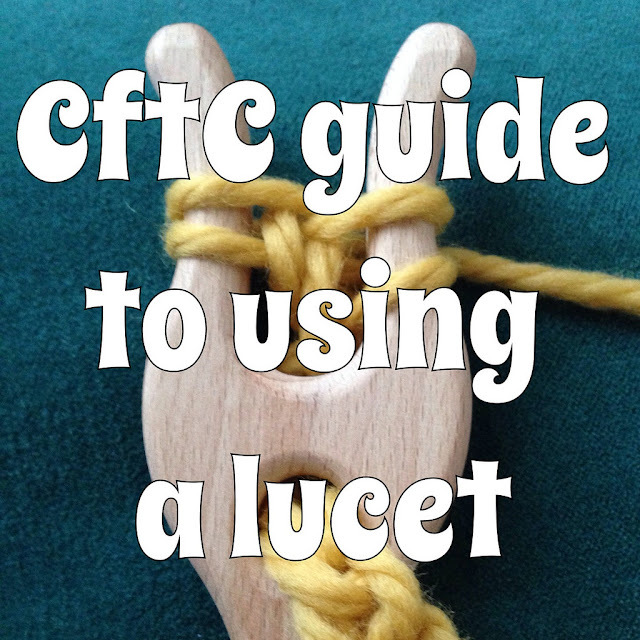 Even young children can use a lucet to make an icord, and of course they can be used for all sorts of things, and for imaginative play. They are really great for fine-motor skill practice (my son has hypermobility in his fingers, and this was the one yarn craft that he mastered quickly and easily). Find a picture tutorial here. 5. 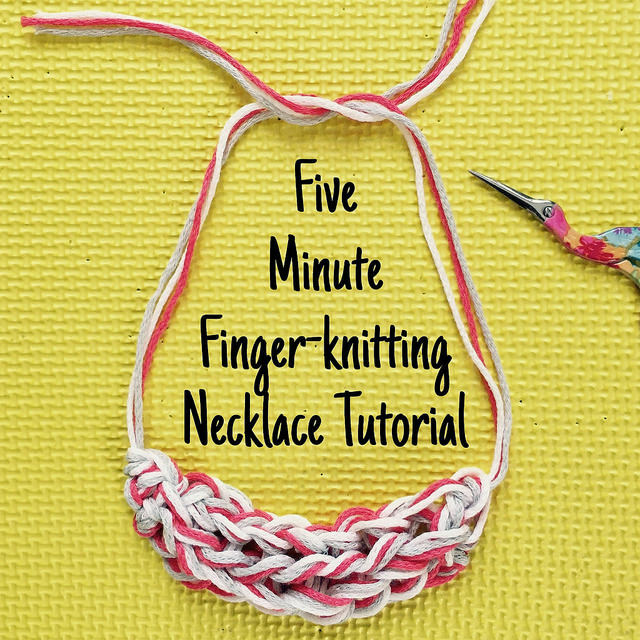 Finally, this Finger Knitting Necklace is a fun project for a dextrous child, and needs nothing more than a pair of hands, some yarn and five minutes. Again, made with a nice yarn, this could make a lovely teacher gift.